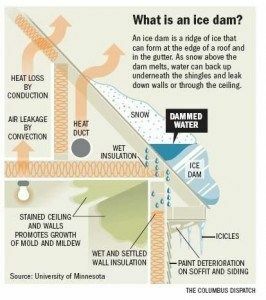 Call Top to Bottom Home Improvement Company today to schedule a roof snow and ice dam removal appointment. 585-338-9865. Roof snow & ice removal Rochester NY.